Upon arrival at Singapore international airport.Out side custom are you will meet our representative, Welcome and transfer to pre booked hotel in Singapore. Free time at your own. PM tour to Night Safari tour (Optional cost ). Tour start at around 1800 hours you will witness only of its kind night safari in Far East Asia. Come back around 0930 PM. Dinner at your own. All hotel rooms are various décor of either designer platform beds or the contemporary design both providing a trendy comfort, Classy modern & Cosy feelings. We are connected via three main MRT (Mass Rapid Transit) line in Singapore all within 5-10 minute walk Jalan Besar Station & Rochor Station- Downtown Line (Blue)Little India Station- NE Line (Purple), Bugis Station- EW Line (Green) & . 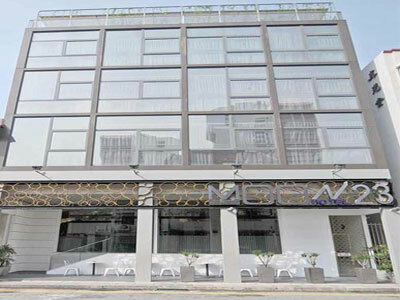 Walking distance mall include Bugis Junction, Bugis+, Bugis Village, Sim Lim Square & 24 hour Mustafa Shopping Centre. For the business traveler we are 15 minutes ride to major commercial buildings within the CBD. For the shoppers a mere 15 minutes train ride will take you to the fame Orchard Road shopping belt or Marina Bay Area (Marina Square, Singapore Flyers & Marina Bay Sands). 1 Double bed or 2 Single bed with a separate bedroom, all our mattress come with build in Pillow top. Free Wi Fi, LCD TV with USB port and cable channels. The private bathroom has a shower with handheld showerhead, and a sink. Bathroom amenities include hair dryers and slippers. An electronic safe is offered, and a mini-fridge and complimentary bottled water are provided. 1 Double on platform with a separate bedroom, all our mattress comes with build in Pillow top. Our Moon Light Suite comes with open outdoor bath tub and separate toilet & shower room. Separate bedroom and living room. Internet Protocol Television (IPTV), LED lighting. King mattress with topper and pillows, cotton towels, bath robes, high-end faucets and fittings, open balcony, coffee machine (capsule) with complimentary mini bar items. We serve breakfast from 6.30am – 10 am daily. At Moon 23 Hotel, guests enjoy coffee and tea in the lobby throughout the day, and evening beverages (certain packages only). Breakfast at Hotel. AM tour to Jurang bird sanctuary (Optional cost). Half Day sightseeing (Included in Package Cost) tour of Singapore as per STB norms visiting Merlion, National park, Esplanades, Mount Faber etc. By pass many parts of Singapore city. Lunch and Dinner at your own. Esplanades’ in Singapore is eye-catching building, a world-class performing arts centre made up of two rounded glass domes fitted with over 7,000 triangular aluminium sunshades.Locals have dubbed them "the Durian", as the twin structures resemble the spiky tropical fruit that is unique to this part of the world. Mt Faber is the highest and best place to start the cable car to Sentosa, Har bour front Station to Har bour front Tower to start the journey. National Park Singapore it one of the best park . Here you will witness foundation stone of Subhas chand Bose of India starting of Indian. After breakfast at hotel. AM free at your own. PM Tour to Sentosa Island (Included in package cost)at around 1500 hours you will be pick up by our representative for visit to Sentosa Island including cable car, under water world, Wings of Time 2040 PM). You will come around 2100 Hours Lunch and Dinner at your own. Welcome to Sentosa island Singapore. When you visit Sentosa, you will see this gigantic fierce-looking creature with a lion head and a fish body. You need not run, ‘cos it’s just a 12-storey high statue but is the tallest in Singapore. This imaginary creature is famously known as the Merlion, the emblem of Singapore Tourism Board. Visitors can take the lift up to the 12th floor of the Merlion statue to view the city. The Merlion statue at the Merlion Park in Singapore mainland has a “softer” look than the fierce-looking one in Sentosa. Many do hope that what comes out of the Merlion’s mouth is free flow of beer. You know, when the locals say, someone “merlion”, it could mean someone vomits or his saliva got onto your face. The lion head of this creature represents Singapore’s original name, Singapore which means “lion city” in Malay. The fish body recalls the ancient name of Temasek, which means “sea town” in Javanese. Back to Sentosa…. At the Merlion souvenir shop, these cute little Merlion plush toys have at least made an effort to soften the image of the fierce-looking Merlion statue. Welcome to Universal Studios Singapore Enter the thrilling world of movie magic as you “ride the movies” on roller coasters and other movie-themed attractions. Be dazzled and delighted by an immersive entertainment experience that brings the silver screen to life. 04 Breakfast at the respective hotel. All Transfers on SIC basis only.